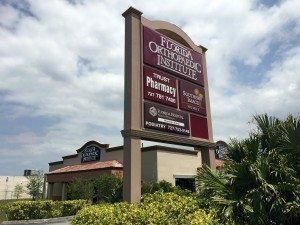 Our Palm Harbor office is located right off of US Highway 19 and has an entrance that accommodates wheelchairs. From US Hwy 19 N, continue straight. Destination will be on the right at 36413 US Hwy 19 N, Palm Harbor, FL 34684 (just before Lake Shore Dr.). 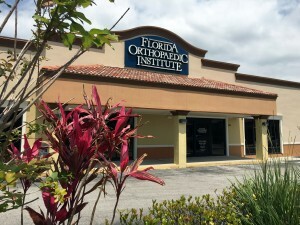 For further information about the location of this Florida Orthopaedic Institute office, please call (727) 499-9448. I saw Dr. Grayson last week and my wait time was not much. 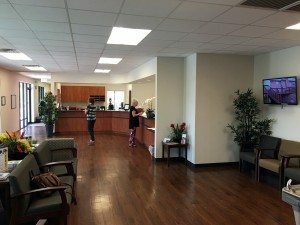 They took my info, then took x-rays and then the PA came in and talked to me. She explained my x-rays to me and was very knowledgeable. Dr. Grayson then came in. This was all done very efficiently. I found him to be very nice – he listened to what I had to say and did not try to rush me into surgery. 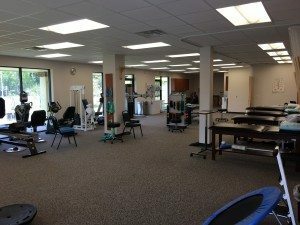 I start physical therapy this afternoon and am hoping that I can get away without having knee surgery. MJ at Dr. Grayson’s Palm Harbor office is a ray of sunlight. She is the person who will take you from the waiting room to an exam room. She is cheerful with the patients in the waiting room, joking and interacting with those waiting to see the doctor. I asked her if she was this cheerful every day and she said ‘Yes!’ MJ is a wonderful addition to Dr. Grayson’s staff and I felt happier just being around her.